Road bikes are lightweight, fast and highly efficient. Designed for riding on paved surfaces, road bikes are great for commuting, fitness cycling and weekend racing. Aside from the occasional pot hole, road bikes don't have any rough bumps and jumps to contend with, so they don't need heavy suspension components to weigh them down. Using a rigid frame and fork, a road bike provides a tactile and responsive ride. Their light weight gives them rapid acceleration, so you can ride faster with less effort. 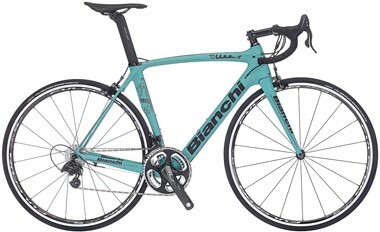 Most road bikes under £1000 use an aluminium frame, while premium bikes use carbon fibre. Steel frames are still a popular choice, and some brands offer frames made from titanium. Modern road bikes are often available with a choice of rim brakes or disc brakes. Rim brakes are lighter and more aerodynamic, while disc brakes give you better control over the braking power, and don't suffer a significant loss in performance when it rains. To save weight and improve aerodynamics, road bikes use narrow tyres, typically between 23 and 28mm wide. Road bikes don't aquaplane in the rain, so the slick tread patterns provide excellent grip in all weather conditions. Single ring chainsets are designed for simplicity and weight saving. With only one shifter, one derailleur and one chainring, single-ring chainsets have fewer moving parts and are easier to maintain. 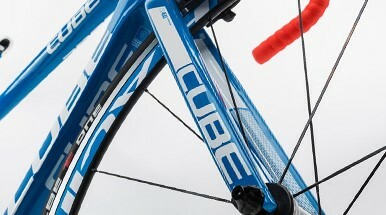 Their drawback is in the narrower range of gears, which can make the bike slower going up or coming down steep hills. Single ring road bikes typically have 11 gears in total. Double ring chainsets are by far the most common chainsets found on road bikes today. Double ring chainsets are available in two sizes; Standard chainsets (with 53/39 tooth chainrings) found on high-performance racing bikes, and Compact chainsets (with 50/34 tooth chainrings) found on most beginner to mid-range models. Bikes with double ring chainsets usually have 16, 18, 20 or 22 gears in total. Triple ring chainsets are usually only found on lower priced road bikes below £700. Aimed at new cyclists who still want big gears for speedy descents, but also need extra low gears for the steeper climbs. Triple ring chainsets provide a very wide range of gears without a high price tag. These bikes usually have 21, 24, 27 or 30 gears in total. 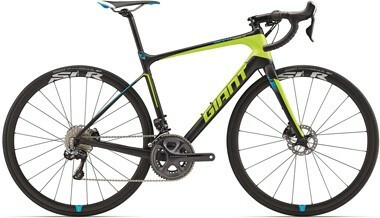 At a glance, most road bikes all look and ride pretty much the same. When you take a closer look and start riding them, the differences start to shine through. These are the three main types of road bike you will encounter. Endurance (also called Sportive) road bikes are designed to be ridden greater distances for longer hours. The geometry of these bikes places the rider in a more upright position, which is more comfortable and provides better handling control. 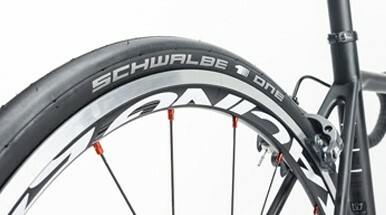 Endurance road bikes also have wider tyres ranging from 25mm to 32mm. Race road bikes are lightweight and often have aerodynamic frame shapes. The geometry stretches the rider out for a lower and more aerodynamic riding position, for a boost in speed over shorter rides. Rim brakes are lighter and more aerodynamic than disc brakes, which makes them a popular choice on these bikes. 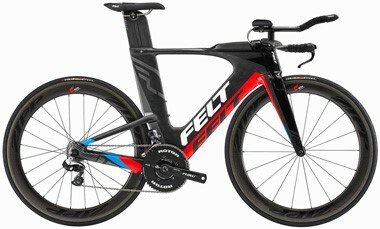 Time trial & triathlon bikes are designed for pure speed on closed road courses. The aggressive riding position is highly aerodynamic, and gives excellent pedalling efficiency at the expense of rider comfort. Triathlon & TT bikes have a different handlebar setup which also boosts aerodynamics, and some models even have built-in aerodynamic drinking systems.